SOL Survival Bowie Knife and Sheath | BUDK.com - Knives & Swords At The Lowest Prices! Never be S.O.L. 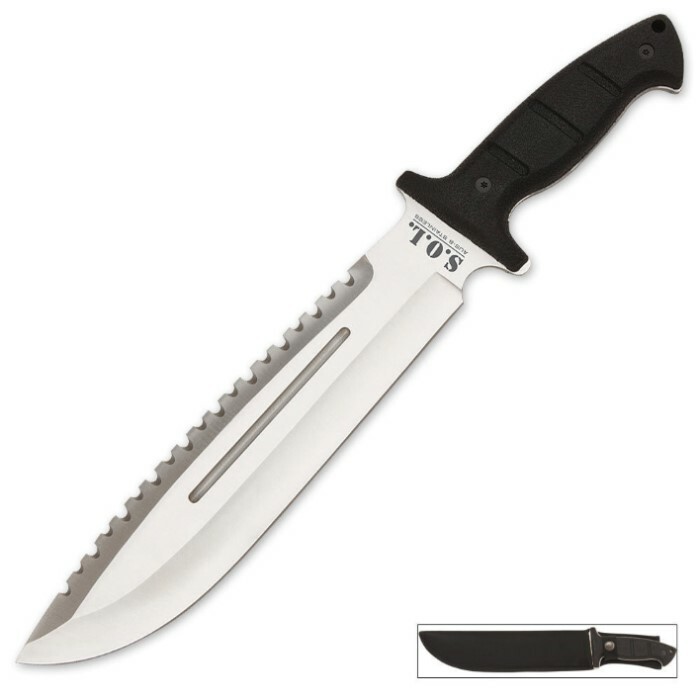 with this Survival Bowie! The full-tang construction of this blade makes it one of the most powerful chopping knives you'll ever own!